Corbin Russwin produces deadbolt locks and doorknobs. 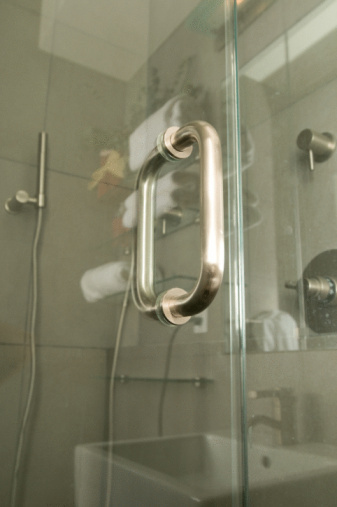 The two types of Corbin Russwin doorknobs available, its G10 series and the Anti-Harm Knob, are mounted with two Phillips screws on the door's inside panel. When these doorknobs loosen or suffer damage, they should be replaced immediately. 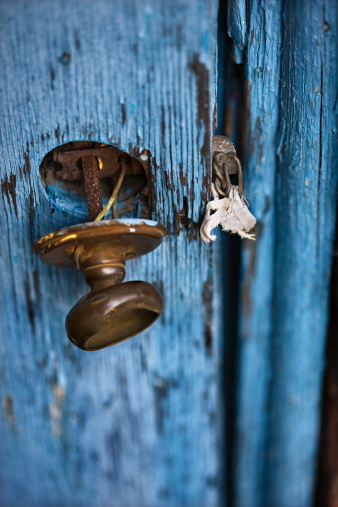 Not replacing a problematic doorknob might result in the loss of a secure entrance. Broken doorknobs pose a loss of security. Open the door. Hold the outside doorknob in place with one hand. Place a Phillips screwdriver into the head of the top screw. Turn the screwdriver counterclockwise. Remove the screw from its hole. When the screw's threads no longer are holding the screw, the screw will hang from the hole or fall out. Place the screwdriver into the grooves on the bottom screw. Turn the screwdriver counterclockwise. Remove the screw when it no longer is threaded to the inside of the knob. Pull the inside part of the doorknob straight out while holding the outside portion of the doorknob in place. Do not jiggle the doorknob to remove it because this might cause damage to the interior locking mechanism. Use steady pressure to pull the doorknob out of the door. Remove the outside portion of the doorknob by pulling it straight out. Pulling the knob out at an angle also might damage the door and the knob's interior locking mechanism.